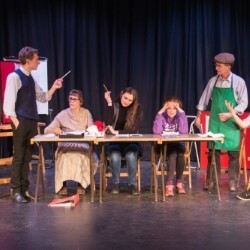 Coming from their success at the 2017 All-England Theatre Festival semi-finals, Our Star Theatre Company proudly presents their award-winning comedy, The Last Bread Pudding – a hilariously absurd bird’s eye view on an am-dram committee and their decision on what the group's next play should be. The meeting soon goes off agenda and secrets are revealed! This play is dedicated to anyone who’s had to suffer the agony of attending a committee meeting. To find out more about us and our work, please visit our website, Facebook and Twitter!